Well everyone loves a good Dupe don't they?! and i think i may have discovered a few in my lipstick stash, Pink Plaid lipstick by M.A.C (Matte Finish) is a shade i have been picking up on a regular basis the last few weeks, its beautiful shade of pink almost a powdery, muted shade with a teeny hint of purple in there, i prefer this kind of pink as its less "barbie" and looks a bit more classic. The above picture shows Pink Plaid along with 2 swatches of the other dupes i found ...looks pretty similar on paper don't you think? 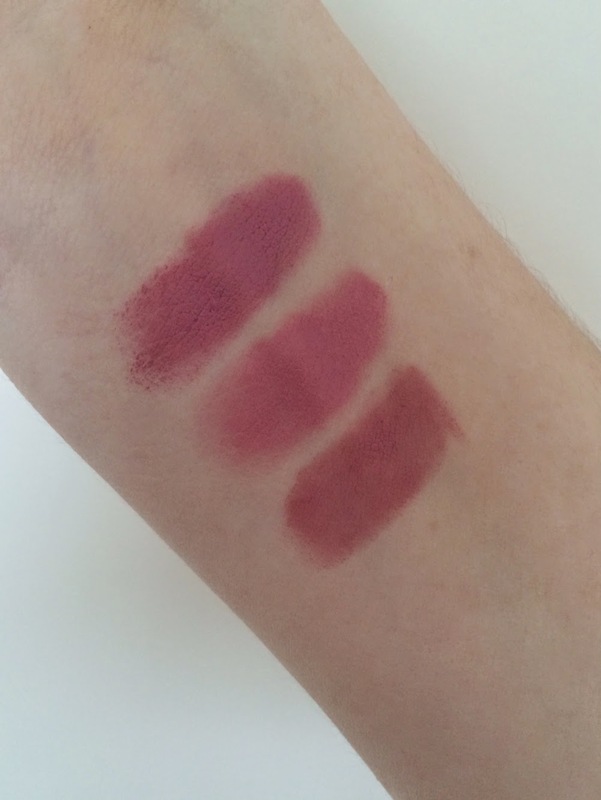 We have (top) Rimmel Exaggerate Lip liner - Eastend Snob (bottom left) Rimmel Kate Moss Lipstick - 101 (bottom Right) Mac lipstick - Pink Plaid (obvs). Am i cheating because one is a lip liner though:? ..no i think i can get away with this.. The Rimmel lip liner in eastend snob (£3.99) is pretty close to a colour match but carries a bit more brownish tone to it, worn alone on the lip its quite drying so id slather some balm on first..i do blimm'in love this liner though, it works nicely as a liner with lots of other shades i own. Next is the Kate Moss for Rimmel Lipstick in 101 (£6.00) is another close encounter just a bit less matte and alot more moisturising so it makes it more comfortable to wear, this one may be slightly more pink toned than Pink Plaid but definitely a good dupe and a nicer price than the £15 M.A.C one. Top- M.A.C Pink Plaid- Middle - Rimmel Kate Moss in 101 - Bottom - Rimmel Exaggerate Lip Liner in Eastend Snob. 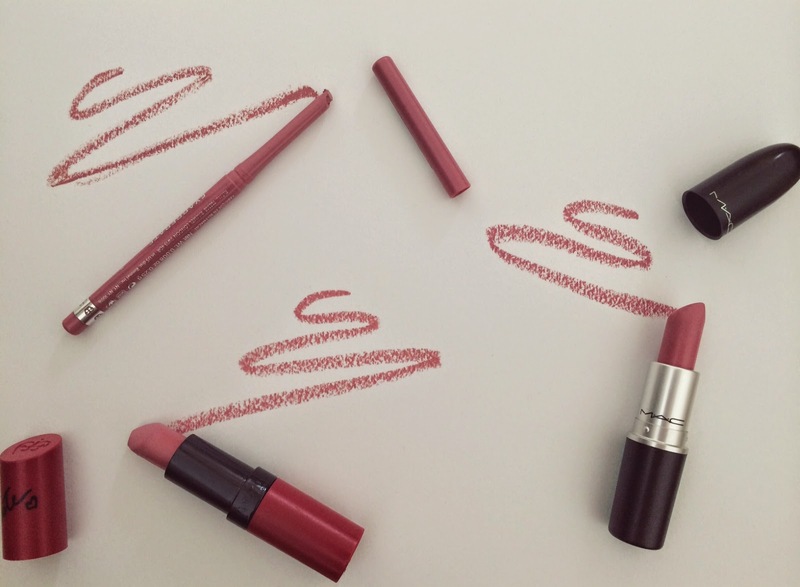 So if your like me and don't live near a M.A.C counter to look at their wonderful lippies you may find this post helpful plus it saves you some pennies..oh and if you already own Pink Plaid you can try the Exaggerate Lip Liner to go with it , perfect partners ! You can buy Both Rimmel items in Boots and Superdrug. Great dupes! 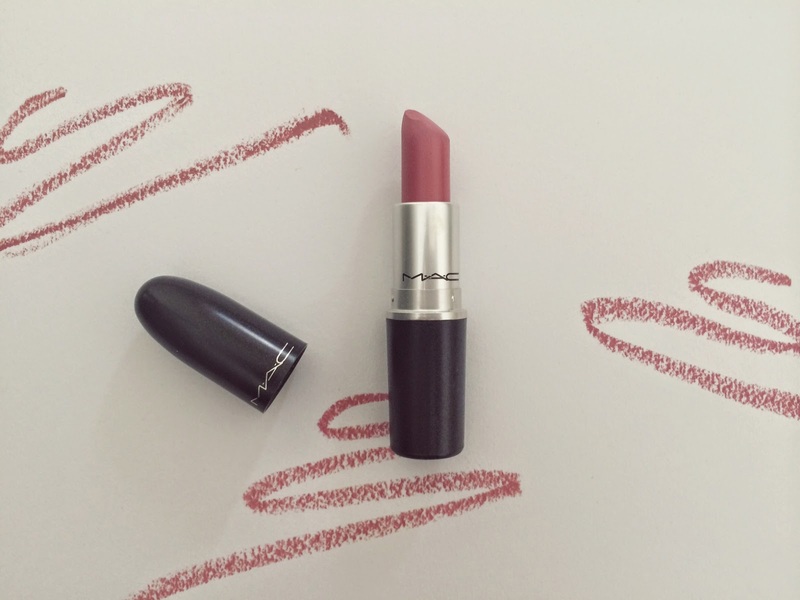 I like MAC lipsticks, but I just find them a bit too expensive for me. And these are honestly so similar, it's amazing!